April showers bring May flowers! It may be rainy this month, but at least it isn’t snow! We are all getting back into our routines after our Spring Break! We hope everyone enjoyed the holidays with their families and friends! This month we are Ready for Spring! 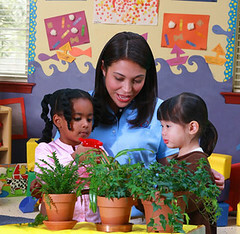 The children will be learning about Weather, Rainbows, Kites, Gardening, Flowers, Bugs and Earth Day! Some fun things are coming up this month! Bring a Joke to School on Tuesday the 14th. We can’t wait to hear what jokes come in! On Wednesday the 15th our classrooms will have Mystery Readers! Please let the office know if you would like to come in a read a book! The Book Fair comes to school on Monday the 20th! We love the Book Fair! So many good books to earn for our school! We are hosting a Mommy & Me Night on Tuesday the 21st! Come to the school after hours to listen to a story and browse the book fair in your pajamas! Earth Day is Wednesday the 22nd! We have some fun recycling activities planned! Thurday the 23rd is Take Your Child To Work Day! On Tuesday the 28th we are going to buddy-up the older kids with younger kids to get creative with art! Wear the colors of the rainbow on the 29th to show your school spirit! Posted in Uncategorized | Comments Off on Showers of Fun! Book Fair: The book fair will be here from April 16th to the 25th. As always, the book fair is a ‘pay and take’ event. We except cash, checks, and credit cards. Spring Attire: Please make sure to update your child’s spare clothing in their cubby for the nicer weather! Fall Registration: Summer Camp registration is over and we will now begin Fall 2014 registration. The annual registration is $125 per child. We will be adding this fee to your tuition statement in a few weeks. When your registration fee is paid, this will secure your child’s placement for September. If your child will not be attending Goddard this Fall, please let us know so we don’t charge your account.